On the record Fair in Utrecht I met Roy Boessen, who has a large collection of Andre van Duin stuff. 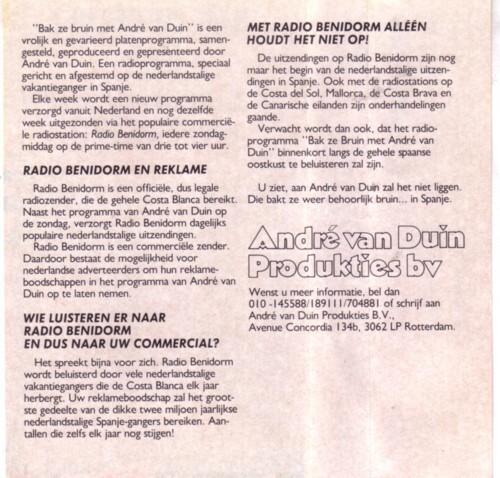 I am still looking for a ”minifoon” that Andre van Duin made as a promotion for one of his LP’s. I have never seen or heard this record, but I know that it exists. Roy said he has one, so I asked him for some photo’s and a recording. 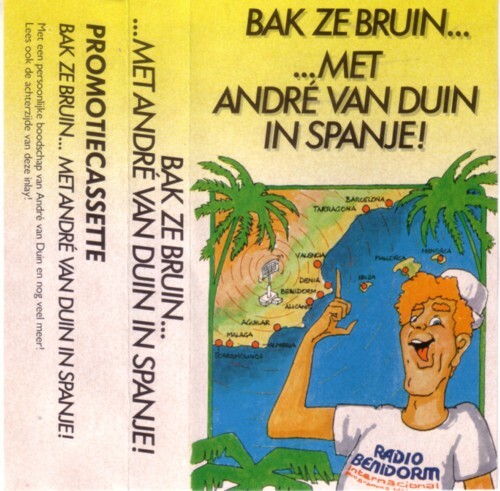 In exchange I gave him a cassette that he didn’t have: a promo tape for a radio show that Andre made for Radio Benidorm. My main interest is advertisement records. I never even listened to this tape, excerpt while recording it for this occasion. 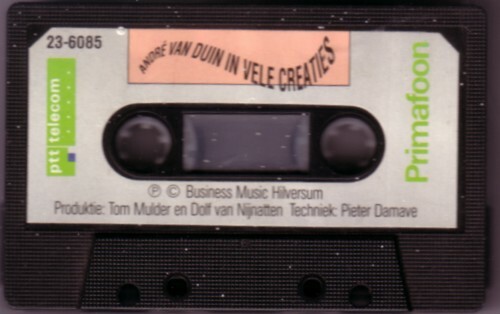 This is a tape for Primafoon, with messages that people could use on their answering machine. I like this tape a whole lot better than the Radio Benidorm promo.